From what we can figure out from Google’s Chromecast Review, the magical dongle that is capable of transforming any old TV set into a Smart TV. But, is Chromecast that good? In this article, we are going to take a closer look at Google’s ingenious gadget and see if we should buy one or not. 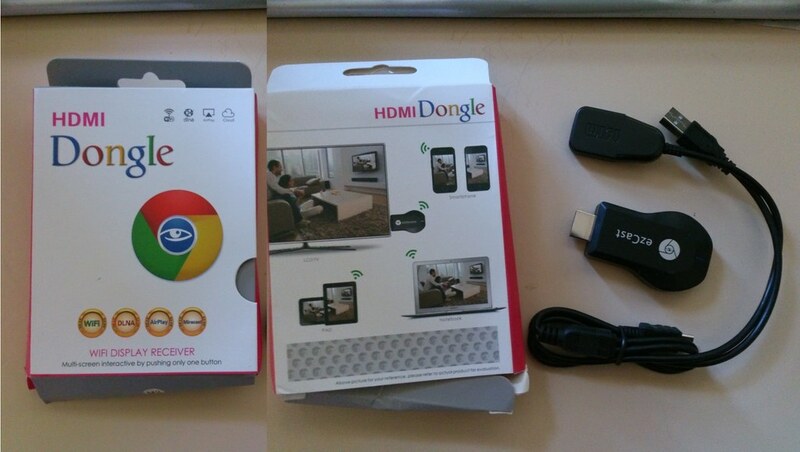 The following Chromecast review will show you the pros and cons of owning a Chromecast dongle. Chromecast is probably the cheapest and easiest way to convert a TV set into a Smart TV. From what we can tell, the product is Google’s response to other Smart TV solutions on the market like Roku 3, Apple TV and Amazon Fire TV. The device is basically a dongle which you can plug into any HDMI-compatible TV set and stream media content. Using Google’s media streaming dongle, users are capable of accessing popular media services like Netflix, Amazon Prime Instant Video, and Sling TV. Moreover, according to many user reviews, the device is relatively easy to install and to use. Just plug the dongle into the TV, create an account and start streaming. Chromecast is capable of delivering high-quality online streaming by connecting any smart device to your TV. So, yes, your old TV doesn’t magically transform into a full-fledged Smart TV after plugging the dongle, because another smart device does the heavy lifting. Although it has a couple of limitations, Chromecast attracts users with its low price and with its immense application library. But, is it really worth it to buy the device? Let’s take a closer look at what other had to say about the gadget. Chromecast can turn your regular HDMI-ready TV set into a true Smart TV. Before we get started on making a list and checking it twice, we must ask ourselves the following question: is it helpful to own such a device, given the fact that we can basically use any device to stream media? We believe so, but, in the end, the choice is yours alone. Here’s a list of pros and cons of owning a Chromecast device as part of our Chromecast review article. Easy setup – the device requires little attention when it comes to the installation process. Just plug in the device into your TV’s HDMI port, create a Chromecast account using Google’s user-friendly registration site, connect your device to the dongle and start streaming. Cross-platform compatibility – While Chromecast works best with Android and iOS devices, users will be able to stream media files while using a PC or a Mac. Works flawlessly- the dongle works like a charm, with users reporting little to no errors. Tons of application to play around with – Chromecast currently supports thousands of applications, including Google Music, Spotify, Netflix, Hulu, Sling TV, Angry Birds, Lyve and even Plex streaming. Attractive price – unlike Roku, which costs around 50 pounds, anyone can get their hands on Google’s Chromecast dongle more a mere 35 dollars. And for an additional 4 dollars per month, users can secure a subscription to PlexPass and the Plex Media Server. Aesthetics – basically the dongle is no larger than a mobile Internet stick. When attached to the HDMI port, it looks like a bulkier version of the HDMI cord. Flexibility of installation – although the device is designed to accommodate all kind of HDMI-ready TV sets, there are some situations where the space is too small. Google found a way around that, and Chromecast’s installation kit now has an extra HDMI cable. Mirroring – using the cast ability, the media streaming stick can easily mirror the browser window opened on your smart device. Developer’s kit – Google released the Chromecast’s SDK to third-party developers. This ensures that Chromecast’s library grows a little every day. Brilliant video quality – the dongle lets your stream media content using three video modes: Extreme at 720 high bitrates, High at 720p and Standard at 480p. Even though the device seems to be the answer to our media streaming questions, it is far from being the perfect tool. 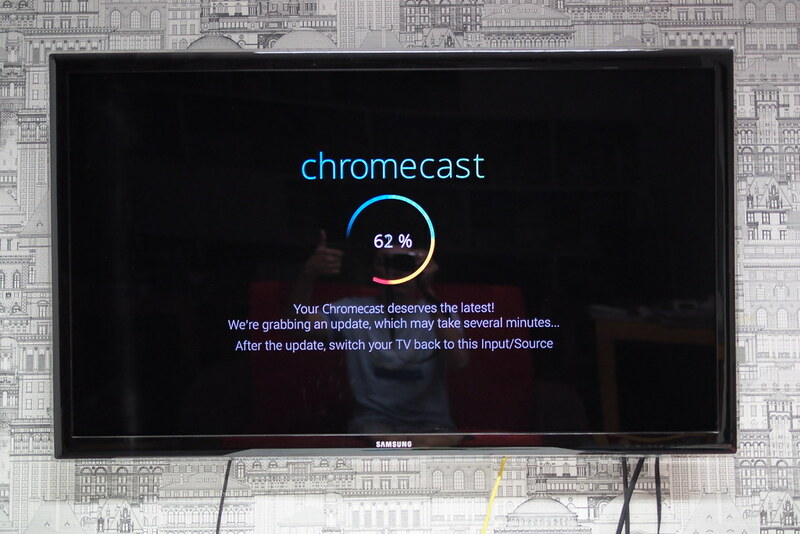 As part of the Chromecast review, we are inclined to present its downsides as well. Power problem – the device requires the installation of an additional USB cable in order to be powered. So, if you have only USB slot available, and it’s already occupied, you have to plug the device already connect and plug in the dongle. The device also comes with its own power charger, but connecting it to the dongle makes the whole set look it’s hooked to a life support machine. Browser compatibility- presently, the dongle only works with Google Chrome and has limited functionality. Moreover, Windows Phone users have reported that they are unable to use the dongle with their handsets. Mirroring issues – always casting your browser on the TV can result in a heavy network traffic. Plex – although paying the 4 dollar subscription fee lets you access premium media content such as HBO Now, PlayStation Vue and Sling TV, the setup process is tough and is much too dependent on your network’s speed. UK issues – some users from the UK reported that they have limited access to music-related applications like Google Music. Moreover, it would seem that tab casting still doesn’t work as it should. So here’s our verdict when it comes to Google’s Chromecast dongle. Although there is still room for improvement, we are inclined to believe that the stick is a promising first step towards cheap access to smart television. All in all, Google manage to set one thing straight: you don’t need an elaborate software or designs in order to make a device perform a simple task like mirroring what’s happening on your tablet, smartphone, and PC. For its features, Google’s Chromecast dongles gets 4 out of 5 stars. Easy to install and to use, Chromecast is an ideal gadget for those who don’t want to invest too much money into smart TVs for high-quality media streaming. We also think that Google’s innovative inclination is another good reason to buy the dongle. Here’s what you need to keep in mind from the Chromecast review: the dongle is easy to install, cheap and quite powerful.